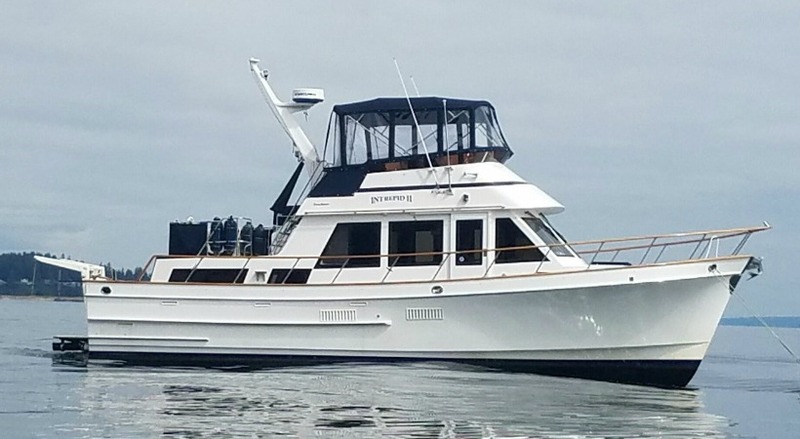 "Intrepid II" is a hard chine hull with a raked stem, a skeg keel, twin rudders and a swim step. 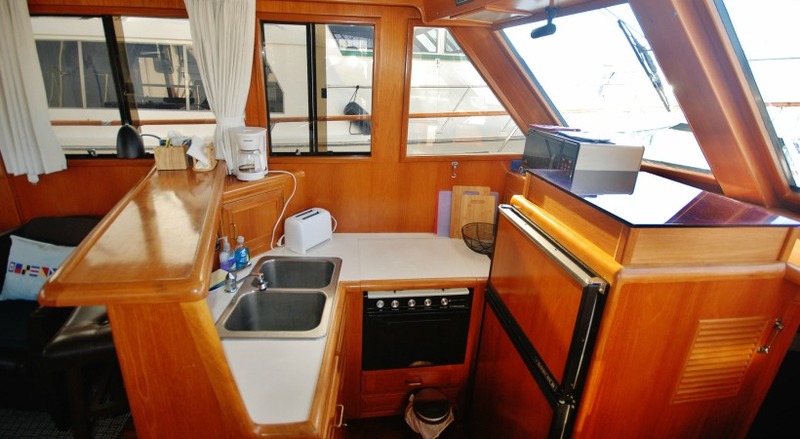 The Double Cabin layout is great for two couples or a family with two separate areas for privacy. 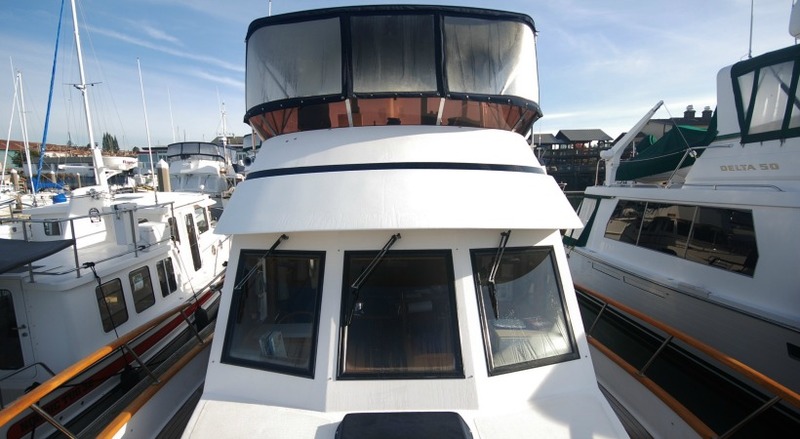 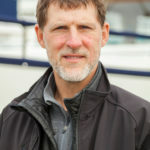 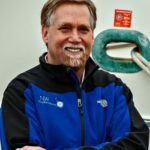 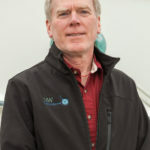 Enclosed flybridge for year round use. 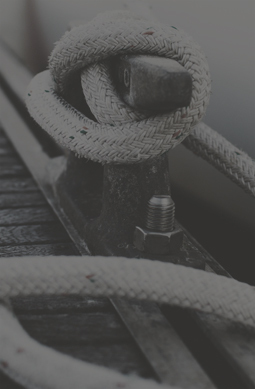 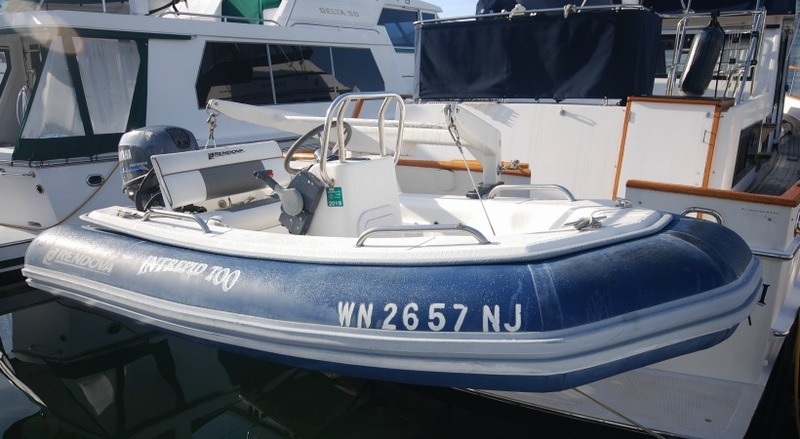 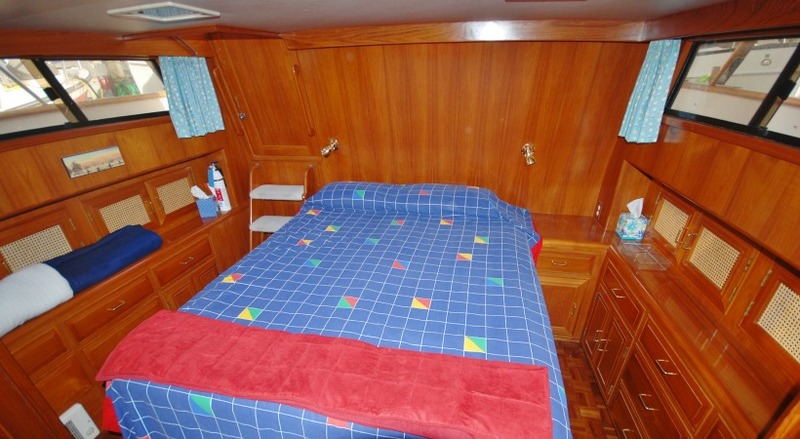 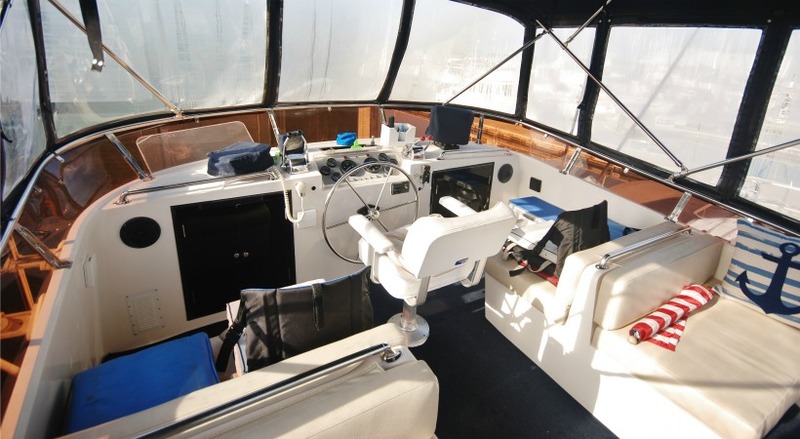 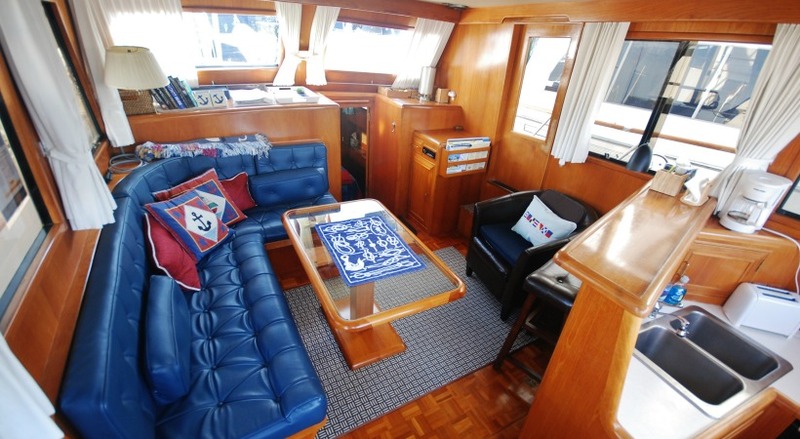 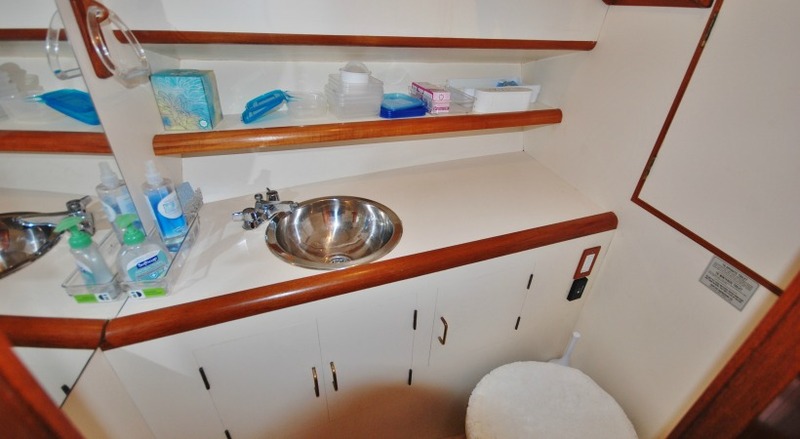 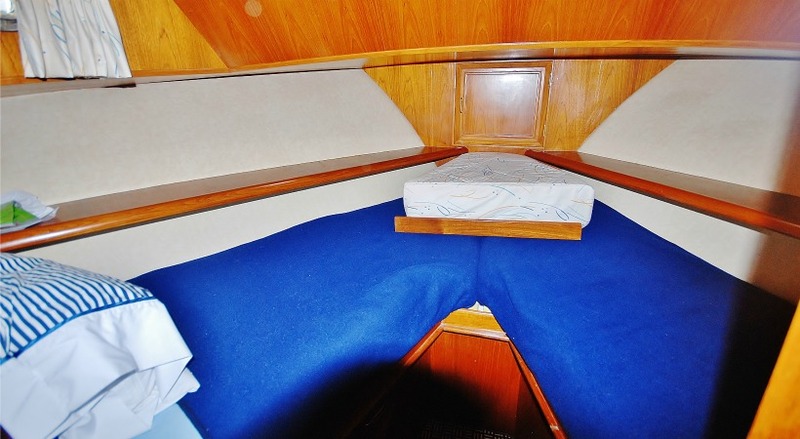 Well equipped full galley, electronics, generator, dinghy and davit.